The Gujarat High Court has made its observations on several intriguing issues concerning the Insolvency and Bankruptcy Code, 2016, while dealing with the ongoing court battle between Essar India Ltd and the Reserve Bank of India on the latter’s decision to initiate insolvency proceedings against the steel major as part of its plans to tackle the bad loans issue of Indian banks. The writ petition filed by Essar had challenged the RBI’s decision to direct banks to initiate proceedings against the steel major and 11 other companies. The central bank had also released a press statement on 13 June 2017, where it had detailed the decision of the consortium of lenders led by State Bank of India to initiate proceedings under Section 9 of the Act following its failure to implement the debt-restructuring package approved by the Essar board of directors. It was also apparent that the court was upset with the contents of the press release and saw it as interference by the executive over the judiciary. Subsequently, the central bank issued a corrigendum on 8 July, 2017, to delete the controversial line – “such cases will be accorded priority by the National Company Law Tribunal…” – that had drawn the wrath of the judges. “This goes to show the manner in which the RBI is functioning, inasmuch as there is a press release even without a decision…on what should be included in such press release. This is also an equally serious issue,” the court had observed. In the conclusive part of the order, it said that “nobody is entitled or empowered to advise, guide or direct the judicial or quasi-judicial authority in any manner whatsoever”. Essar had challenged the rationality of the process adopted by the RBI in identifying their case to be referred to before the NCLT. It also contended that their debt was in the final stages of restructuring and this had been completely ignored by the RBI before issuing the directions. 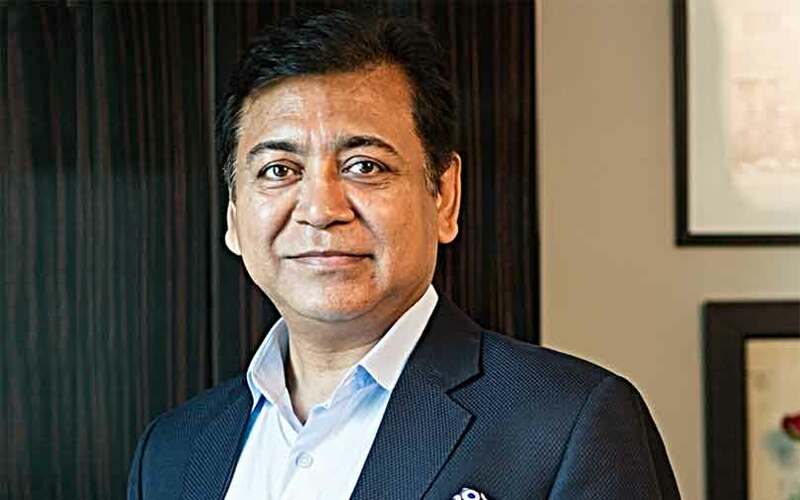 The company went on to add that if an insolvency resolution professional was appointed, it may result in Essar going into serious problems because of the change in management. The company also contended that the SBI had filed the petition only because of the direction of the RBI, despite the fact that the bank wanted to settle the restructuring proposal pursuant to discussions held for a couple of months. It may be interesting to mention that Essar also contended that before the RBI identified the 12 accounts, reasonable opportunity to be heard should have been given to those borrowers by the RBI. However, it is also important to highlight the stand taken by the RBI. As on March 31, 2017, the gross NPAs of Indian banks was over Rs 728,768 crore, that is, about 5% of the gross domestic product. About 12% of the total advances by public sector banks were NPAs, which has the potential to severely dent the economy. The RBI seeks to focus on cases that have the twin criteria of being the largest and longest-standing NPAs. Nothing in the insolvency and bankruptcy act states that if there were ongoing negotiations between the borrower and the financial creditor, proceedings under the act cannot be initiated. Essar can always submit its revival package as a resolution applicant to the RP under Section 30(1) of the act. In short, the RBI contended that it has full authority and power to direct banks to pursue remedy under the act against identified borrowers. The central bank argued that it had adopted fair, reasonable and righteous approach based on logic and data available vis-a-vis the borrowers. The RBI as well as SCB also averred suppression of material facts against Essar. Filing of insolvency proceedings would be a decision of the concerned person, that is the bank or creditor, who is entitled to file such application and, therefore, to that extent, it cannot be said that the banks can be restrained from filing such applications in accordance with the law. Filing of petition before NCLT would not amount to admitting or allowing the petition for insolvency without offering reasonable opportunity to the company, which is requested to be taken into insolvency by any such person. Hence, filing of an application may not result into mechanical admission of application. The bare reading of Section 35 (AA) also makes it clear that the RBI is authorised to issue directions to initiate insolvency resolution processes in respect of a default. It was also observed and clarified that filing any such proceeding, none of the financial company or bank requires either the permission or direction from the RBI, or other agency or authority, because it is their independent and absolute right to initiate such proceedings. Whether or not SBI or SCB could have filed the petition as restructuring proposal was being considered and incidental issues should be looked into by NCLT. The RBI has to be careful while issuing press releases. It should not be in the form of advice, guidelines or directions to judicial or quasi-judicial authorities in any manner what so ever. It would also be appropriate for the RBI to see that benefit of all its schemes is equally offered and extended to all without any discrimination. It cannot be held that the banking company is not entitled to initiate insolvency proceedings without the directions of the RBI under Section 35AA of BRA. Provisions of IBC may be drastic to some extent, but since it is part of a statute that is yet not declared unconstitutional, they are to be followed, but in consonance with the constitutional mandate by all concerned – opportunity to be heard is to be given to the borrower company by NCLT before admission of the petition. The petition cannot be admitted mechanically. This order has certainly given significant message to all concerned players. The RBI is expected to be reasonable in its decisions and is expected to indulge more on the appropriate documentation before a press release is issued. Borrowers have a direct message that the RBI has been vested with required processes to check the NPA menace and that it is not easy at all for them to stop the proceedings under the insolvency and bankruptcy act. Lenders have also been given a free hand to initiate proceedings under the act and there is no requirement for them to wait for any approval or permission from the RBI. NCLT has been directed not to admit petitions in a mechanical order and without giving an opportunity to the borrower to put forth its point of view. Tackling a problem of immense proportions like bad loans, which has put the entire economy on the back foot, all the pillars of the constitution must show constraint, wherever possible, to ensure no wrong signal is conveyed to any person who wishes to take advantage at the cost of the nation, as there is no room left for the same in the present scenario. Rajesh Narain Gupta is managing partner at law firm SNG & Partners.